Our warm, humid climate is the perfect breeding ground for mould, mildew, fungi and bacteria. 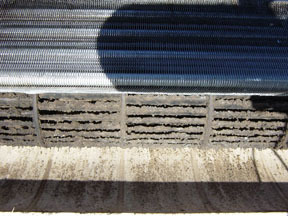 Air conditioning units need to be professionally cleaned or they can make you, your family, employees or customers sick. Our certified technicians will strip and clean your air conditioning system removing all visible contamination from the filters, evaporator coils, condensate drain pan, louvers and return air vent. We use advanced cleaning and sanitisation products that are environmentally friendly, bio-degradable and non-toxic. We supply and apply a range of products that can provide you with ongoing protection from bacterial contamination for up to 12 months, depending on your health requirements and budget. 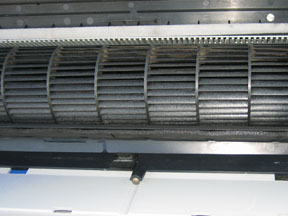 Regular cleaning of filters helps the efficiency of an air conditioner but it does not address the problem of mould and bacterial contamination deep within evaporator coils and scroll fans. 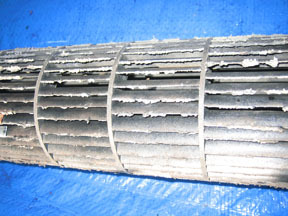 Only a qualified technician has the necessary training to properly dismantle, clean and treat your air conditioner. A Clean Air Conditioner Saves You Money Too! With the rising cost of electricity, it is important to get maximum efficiency from your air conditioner. A dirty unit has to work much harder to cool the air. In fact, cleaning your air conditioner can save you up to 30% power usage for that unit.